But the days of simply having a responsive website or great digital marketing campaign are well and truly over. Becoming a customer-first business requires a holistic digital transformation stretching from operational agility and new ways of working to data insight and action, technology smarts, content delivery and cross-functional collaboration. It also requires a healthy dose of innovative thinking and appetite for change. 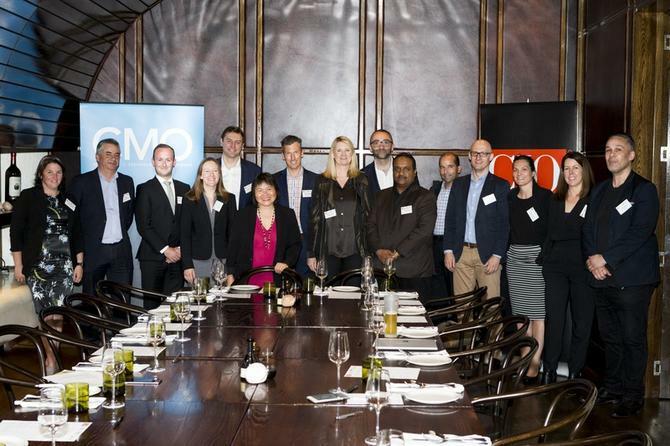 CMO and its sister publication, CIO New Zealand, recently brought together a cross-industry group of marketing, IT, digital and innovation leaders for an executive lunch in Auckland to discuss how their organisations are striving to make the transition to customer-led businesses using digital technology and prowess. The exclusive roundtable event was sponsored by Sitecore in partnership with Deloitte Digital. A full slideshow of the event can also be found online. Across attendees, transformation is well underway and there was a definite sense of growing digital maturity across the group. However, what an organisation’s journey looks like can be vastly different. At MediaWorks for example, chief information and product officer, Tom Cotter, said the company has been working to unite its legacy broadcast linear TV business and digital technology under one banner to bring the company “more directly to the fingertips of the consumer”. Frucor group digital solutions and innovation manager, Richard Raj, is helping to lead the digital transformation at the beverage producer, which commenced in 2015. From the get go, the approach was about getting the results early, he said. “The challenge is the digital mindset uplift across the whole company; the goal is to transform to a more digitally savvy [native] organisation,” he said. Making things more complicated for Frucor is having two layers of customers: Distributors and retailers (B2B) and the end consumers (B2C). The first thing Skycity Entertainment Group did to ensure digital became a company-wide, operational and structural change was to get its leaders on the same page, chief innovation officer, Sonya Crosby, said. “This involved identifying what is digital, and not only what the disruptors are to mitigate risk, but create new opportunities from,” she explained. “We worked with Frances Valintine at the Tech Futures Lab and put our executives through a workshop so our management team has an understanding of what’s coming and the types of questions we should be asking. For Deloitte Digital practice lead for New Zealand, Michael Millard, business disruption is a constant today and digital is not only omnipresent, it’s part-and-parcel of everything the consulting giant does. “To tackle disruption and harness digital technology, the enterprise needs to think more in terms of what digital can deliver,” he said. “This is captured by the revenue generating activities that focus on the customer and their experience and the interactions they have with you. “There is also the optimisation of back-office operations to reduce cost through the use of automation, machine learning as well as the use of data to drive strategic decision making. Spark Ventures head operations and platform delivery, Peter Yates, said digital’s impact has pivoted the business to look at ideas from the point of view of what customer problems it’s trying to solve. Spark Ventures is the innovation and incubation arm of telecom operator, Spark New Zealand. At MediaWorks, the shift to digital-first thinking has seen user experience, business analysis and digital teams increasingly brought together, Cotter said, although this is currently restricted to select projects. Rather than changing the way Skycity approaches product development and innovation, Crosby said digital has become a key component of how the business delivers to customers. Being in a constant state of beta is important in today’s digital world, and Crosby added the problem with committing to all the features upfront is you can become locked into a hard deliverable. Skills and resources to cope with digital disruption are another major challenge. For Cotter, staffing is less about experience and finding the right skillset, and more about finding resilient people who can work in the face of ambiguity. “You also need creativity and an ability to communicate with perceived consumers,” he said. In the consulting industry, Millward cited an increased demand for niche skills, IP, products and technology solutions that accelerate a client’s ability to act. “The future of consulting goes beyond the show-and-tell, it is increasingly about the do,” he said. Improving team agility was also the modus operandi for most attendees, although Cotter said MediaWorks has deliberately removed the word ‘agility’ and talks more about self-motivated and organisations scrum teams. Analytics is helping these teams to be more responsive and adaptable, he said. Frucor started adopting the concept of MVP (minimal viable product) in digital projects and activity, and is now extending this approach into other parts of the organisation. “You need to plan for hero functions, providing wow factors and products, if you want to get mindset going and help evangelise what digital means,” Raj claimed. An example at Frucor is utilising artificial intelligence to support business process with predictive analytics. In addition, Raj said Frucor has moved from an old-fashioned but stable approach, to agile scrum teams that offer a more adaptable way of working. Taking an agile versus waterfall approach actually allowed Frucor to save enough time and budgets to obtain one bonus sprint in 2016, Raj said. Core to Skycity’s agility has been embedding the human centred design process across the business. “Every project we work on includes a virtual team made up of key stakeholders and those who are at the coalface of the operation,” Crosby said. One initiative helping to drive innovative thinking is Skycity’s Winning Ideas programme, which is an online and offline portal for staff idea generation. Innovation champions sit across every precinct and actively moderate ideas through a transparent process where staff can add, like, comment on contributions, Crosby said. “Staff can see how ideas are tracking and receive management feedback,” she said. Another major discussion point at the roundtable was how to secure, allocate and deliver ROI against these new ways of working and innovating. Crosby said that as a business, Skycity agrees what level of growth it wants to go after and has a high level investment pre-agreed with the CEO to draw from. ROI is not just about the obvious revenue growth or cost savings, there are also intangibles to consider, Crosby said, such as growing brand asset value or customer satisfaction, which leads to loyalty. Spark Ventures is utilising automated workflow as part of its change process, which means approvals are all emailed to the correct approvers based on change type and urgency. “This allows for faster approval without the need for a formal CAB, and all changes are then automatically added to a forward schedule of change,” Yates said. Spark Ventures also has a bucket of capex for the year, and sets up a scrum team per product. This may include a business analyst, software developers, and testers at a set cost ($40,000 for example) per two-week sprint. Through all of these initiatives, attendees cited growing use of data as both an information source, as well as tool for encouraging change and innovation. At Frucor, Raj said being able to gain its own insights on end consumers using big data generated via digital engagement and capability will encourage more collaboration and insights with suppliers. But to get a disruptive idea and insight from data, Raj said teams needed vast amounts of data. Crosby is another who agrees customer data and analytics are important, but warned against using data on its own to generate insights. “Every digital touchpoint is an opportunity to learn and serve our customers better,” she said. “Digital opens the way for real-time interactions that deliver a better customer experience; that’s where I see its strength. “If you just look at the numbers, you’re only getting a skin-deep view of today’s customers and only to the extent that you have captured the right interactions. We start with the customer, understand and map their whole experience. From this we can observe and identify opportunities and pain points – as well as knowing which touch points are most important for data capture and use in order to continue to improve the experience." To get at the underlying need states and behaviours, Skycity is drawing on social anthropologist skills and observation to better understand what’s desirable, where the key pain points are, what’s engaging and what’s not, Crosby said. Yates said Spark initially approached better understanding customers as a project outside day-to-day business operations, but is now sharing and bringing that into the core. Finding solutions is about working back from the customer journey, and he pointed to the example of cloud-based billing as something that stemmed from understanding the consumer better. “We have user experience and customer experience teams, where they use wire frames to show at high level the customer journey, and work back from that,” Yates explained.